Synopsis: Dusty White Eagle Feather is about Dusty Hamilton, a fifteen-year-old boy and his struggles with teenage life and racial differences in small-town America. The story is set in rural Oklahoma on the weekend of the 100th anniversary celebration of the Land Run - that time in American history when Native American lands were forcibly taken away from them and given to European settlers. A dispute between the Native Americans and the townspeople over the inscription on a newly erected statue causes tempers to flare up. Dusty finds himself witness to hatred and prejudice at its worst, and he is the one who is driving the getaway car. Through a series of dreams, a mystical white eagle comes to Dusty and takes him on an unforgettable journey into history when the Ponca tribe was forcibly moved from Nebraska to Oklahoma; a remarkable journey that causes Dusty to search inside himself for the answers to his own questions about honesty, courage, friendship and forgiveness. It is a journey that ultimately earns Dusty an honor reserved only for the most noble of character. 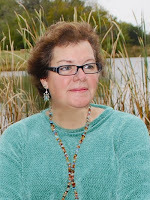 Review: First off, thank you to The RoadRunner Press for giving Dark Readers this opportunity to read and review Lesson of the White Eagle and be a part of the Blog Tour :-) I must admit that history was never my strong point; and when I was younger I thought learning about Native American was just plain boring- but as I continued through school and even went out west on a family vacation to battle fields, Native American museums and Crazy Horse I started to appreciate how the United States came to be. So as I read the synopsis of Lesson of the White Eagle, I was eager to read on. Dusty is a young boy who is in some way stuck between two crowds: a girl who is his friend but is friends with the Indians and an old guy friend who despises the Indians. Dusty tries to please every and therefore sometimes chooses the wrong path. In the town of Ponca, most people look down on the Indians; this way of acting towards them was passed on from generations. For example Dusty's father did not trust the Indians, and so Dusty was brought up to be cautious around them as well. Barbara Hays the author, did an excellent job with telling a modern "lesson" in a legend from years past. Certain events play out in this story that do not favor the Indians... in fact, the Indians are blamed for something they did not do. The White Eagle shows Dusty what would be the right thing to go. He even has experiences where he can feel and experience the lessons that being taught to him. I thought that this story was very powerful! It shows a person that they should not judge based on past circumstances and be accepting to those around you despite their color or race. 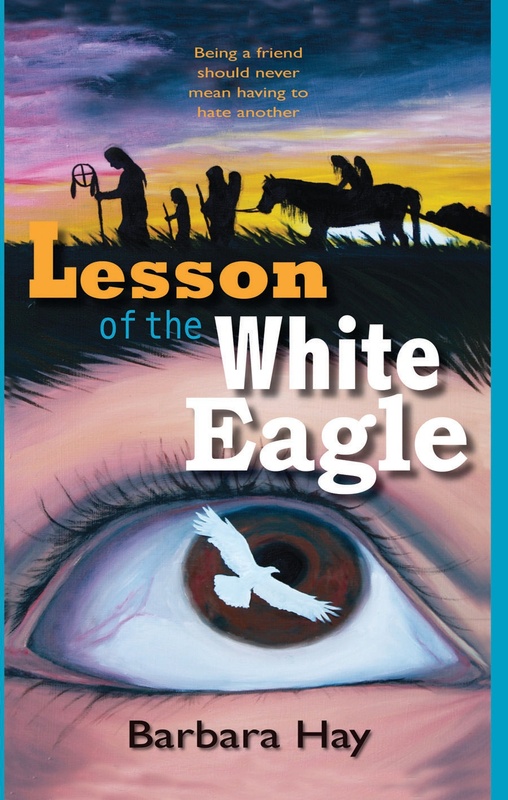 I would recommend Lesson of the White Eagle to middle schoolers... and I do believe that this would be a wonderful book to be read in school; in either English or History class. It was an easy and fast read with only 116 pages. There is a lot to be said from the stories that the White Eagle tells Dusty- and the legend that happened way back then, can still be learned from now! We hear the word “paranormal,” and chances are images of vampires, zombies, or werewolves flit through our minds. In the case of my debut young adult novel, Lesson of the White Eagle, the paranormal element is actually a twist on reality. Chief White Eagle was one of the chiefs of the Ponca tribe—but more than a hundred years ago. In my book he comes to fifteen-year-old Dusty Hamilton in 1993 in a dream, while the teen is unconscious — recuperating in the hospital after his “best friend” has left him beaten and battered in a ditch alongside a remote country road. Yet if this were only a dream, how is it the chief is telling Dusty things he didn’t already know? And if Chief White Eagle is real, has Dusty slipped into a parallel universe? That’s what I love about fiction: it allows you to suspend disbelief, as long as what is posed is plausible. My story is based on events that did happen in 1993, but I wanted Dusty to feel certain emotions that could only come from personal experience, so that he would truly be able to identify with the harsh experiences of others who came before him. He needed to walk in someone else’s shoes, in this case, those of his Ponca peers. The reader ultimately gets to experience—right along with Dusty—the ups and downs of friendship, the challenge of being fifteen and wanting so badly to be grown up, and the high stakes involved in choosing to go against the tide. The use of the paranormal in my story, allows me to “move with ease” through not only time but also issues many teens face and have questions about. Have you ever experienced a situation in real life that didn’t go as planned in your daydreams? Or have you ever wanted to wish someone into a day in your shoes, so they could understand your life? I was given this book to review and thoroughly enjoyed it. It has suspense and action as well as valuable lessons on friendship and the seriousness of discrimination. Read about Barbara Hay and her reasons for writing this book and you'll want to read it even more!